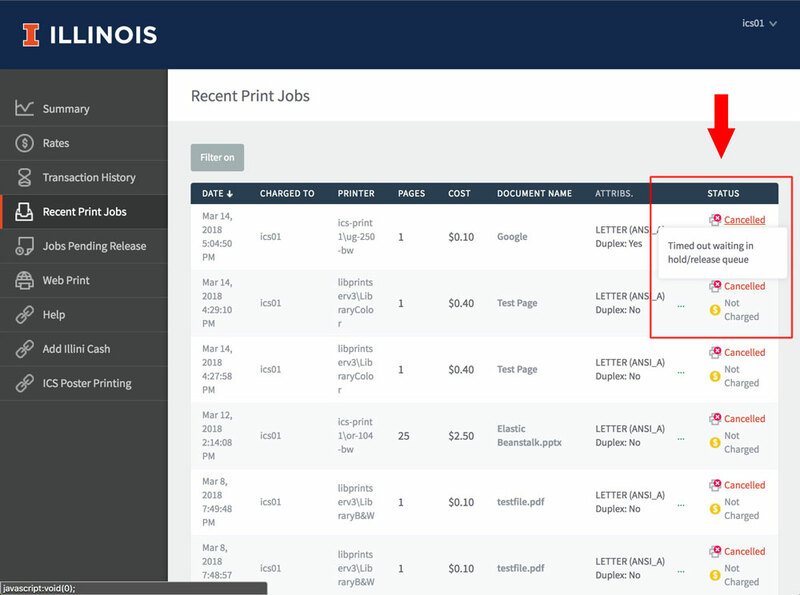 Your print history is available online through the PaperCut user portal. Your job history shows what you printed, where you printed from, which printer was used, and how it was charged. 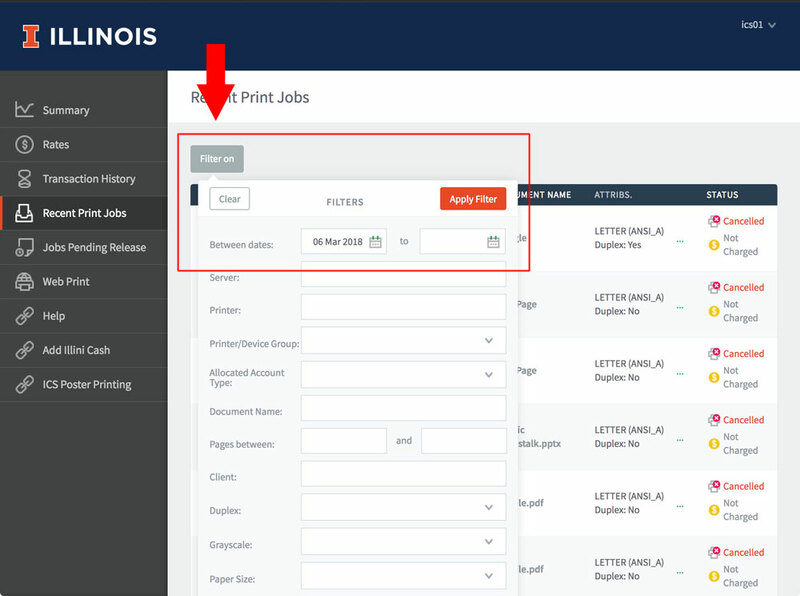 The first step is to log in to PaperCut at https://papercut.ics.illinois.edu/ and select "Recent Print Jobs". This will show you the most recent two weeks of history. To see a different range of dates, click the "Filter on" button. The filter gives you many options, but the most important is "Between dates". If you are interested in jobs that might be on a Student Account on-line statement it is helpful to choose a starting date two months previous to the current date. You should leave the other filter fields blank. After you've set the "Between dates" to a an appropriate range, click "Apply Filter". 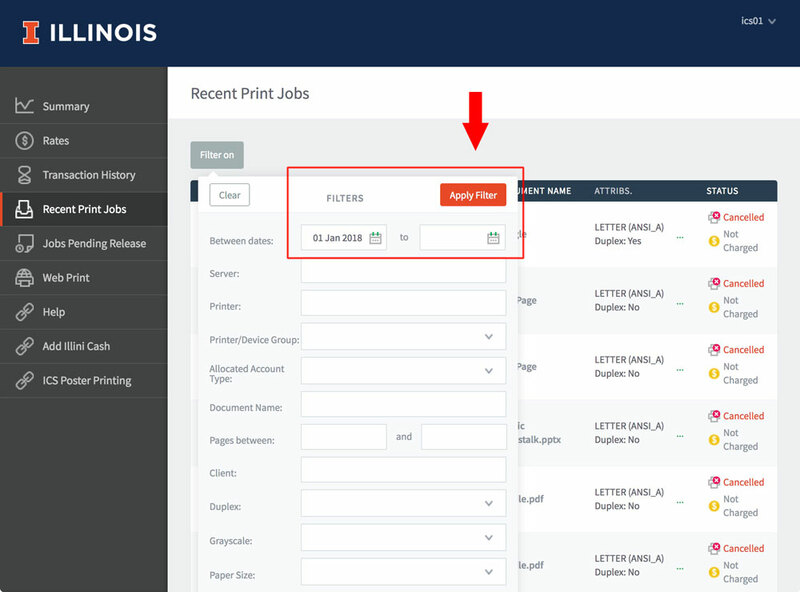 You should now see all jobs you printed between the dates you selected. More details about the job, such as what workstation it was printed from, are available if you hover over the "ATTRIBS." column. If your job was canceled or denied, then you can hover over that status and PaperCut will popup the reason why that action was taken. 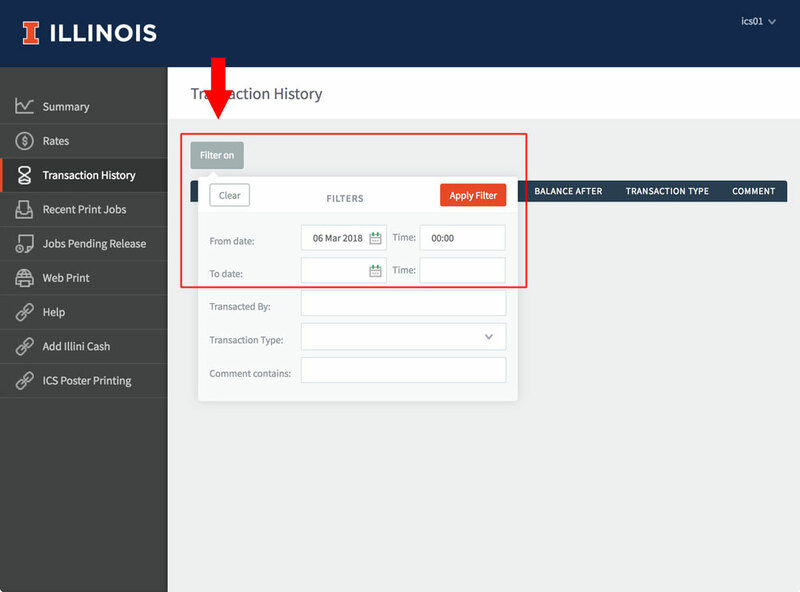 The transaction history shows you detailed information about how jobs were charged to your various accounts. Balances for accounts track activity in the PaperCut system and should not be confused for a bill or statement. Please read the article on Accounts and Balances for more information. The first step is to log in to PaperCut at https://papercut.ics.illinois.edu/ and select "Transaction History". The filter gives you many options, but the most important are "From date" and "To date". If you are interested in transactions that might be on a Student Account on-line statement it is helpful to choose a starting date two months previous to the current date. You should leave the other filter fields blank. After you've set the dates to a an appropriate range, click "Apply Filter". 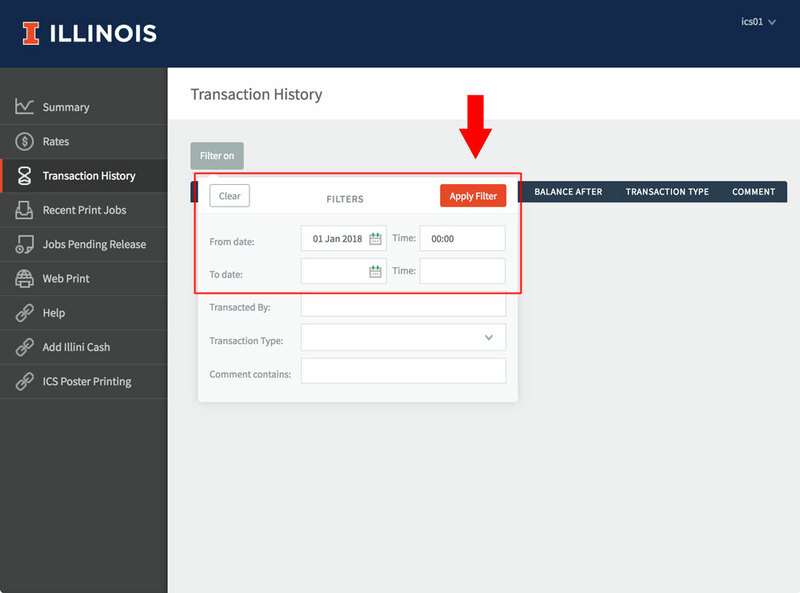 You should now see all transactions to your accounts between the dates you selected. More information about a printing transaction, such as the printer and document name, is available if you hover over the "Transaction Type" column.